A former millionaire Vogue cover model, Nastasia Urbano, has been found homeless on the streets of Barcelona after her ‘ex-husband left her penniless’. 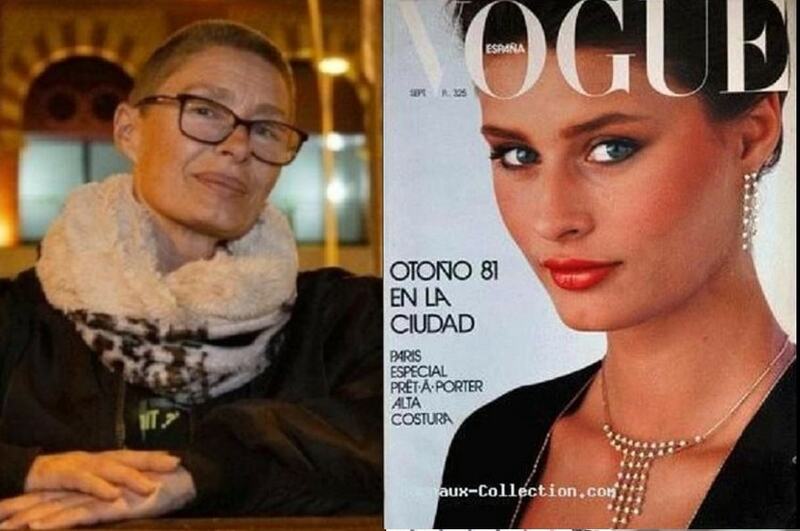 Nastasia Urbano, 57, who now survives by begging was a famous supermodel in the '80s and the face of high-profile magazine campaigns. As a Vogue cover model, Nastasia used to make a million dollars in just 20 days. She fronted glossy campaigns with supermodels like Linda Evangelista, graced every major catwalk, and rubbed shoulders with stars such as Jack Nicholson and Madonna. In an interview with el Periodico, Urbano said: “I did all the magazines, I was loved by everybody. I was given a million dollars a year for only 20 days of work, for three or four years. "I was about to go to Madonna's wedding to Sean Penn because David Keith was invited and I was dating him at that time, but that day we got up with a hangover and couldn't get up. I had everything, I was living like a queen." But Urbano says her glittering lifestyle ended after her ex-husband and father of her kids “left me with nothing but the clothes on my back”. She added: "The only good thing from that relationship has been my children, the rest was horrible. "He paid for everything with my money. Only two days after knowing him, he wanted me to buy a BMW and I, like a fool, I signed a cheque. I was in love." Nastasia, who suffers from depression, says she has been evicted from a series of homes because she could not pay the rent. She now alternates between sleeping on friends' sofas and in bank foyers where automated doors give customers access to ATMs. She said: “I want to live, not just survive. I am tired of surviving and asking for money. The people around me have gone away, everybody goes away and I am not surprised. “I want my children to see me well. I want to recover as a person and to be OK, so they can be proud of me."